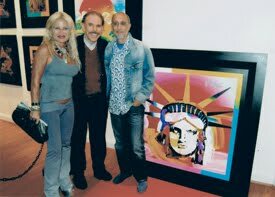 WILL PETER MAX TRANSCEND TIME SUCH AS THE GREAT MASTERS? With this post, I intend to clarify some questions that always lurk around my mind, and I am sharing them with my visitors in order to obtain different points of view that might enlighten me. 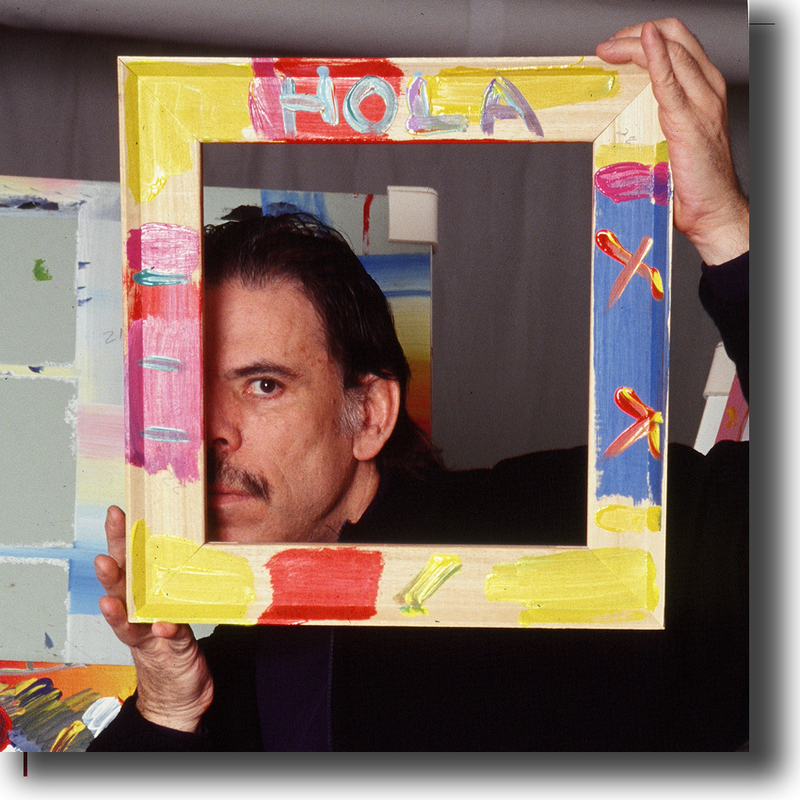 How can a 74 year old artist from the Sixties, still generate so much business? Admirable. Will his popularity increase, level or decrease when Baby Boomers fade away? Will the next generations embrace his art? 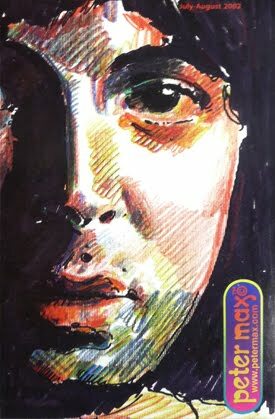 Will he become another Warhol, Lichenstein, Robert Rauschenberg, Jasper Johns,etc,? When he retires, will his pieces of art maintain, decrease or increase its price considering his current Marketing strategy? Is a collector of his items not allocating funds wisely or is he hanging to a Depreciation proof asset? Why is his website not at par of his name (this I cannot understand!). With so many Peter Max original canvases and Mixed Media Papers, on the market, can this continuous production sustain the current price range or will prices fall eventually as a result of the market natural flow of offer and demand? 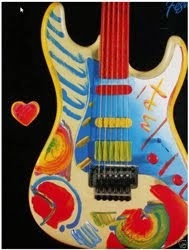 Should the MAX studio consider decreasing it's production in order to preserve MAX's health and maintain the prices?. 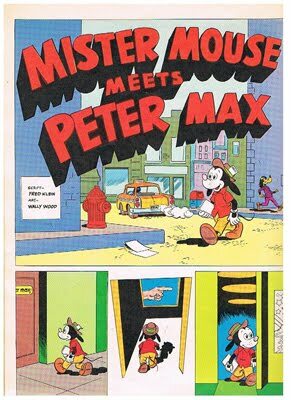 Finally: Is MAX a Pop artist, neo-expressionist, Fauvist, or a mixed media artist himself? A few days ago I read that when a client in a gallery was asked why was he buying a PETER MAX piece, the answer was very blunt yet uplifting: " because his colors make me happy". They have the same effect on me, hence, this could reduce it all to buying MAX just for personal pleasure and not as a business opportunity. I for one, opines that his series lithographs between 1970 through 1979 are the best period of his creativity and technique.